NBC4 continued its long-standing tradition of highlighting and celebrating the rich and diverse history of our community at a reception celebrating Black History Month. People from throughout the region gathered in NBC4's historic Studio A Feb. 12 to pay tribute to those in our community who create history every day. 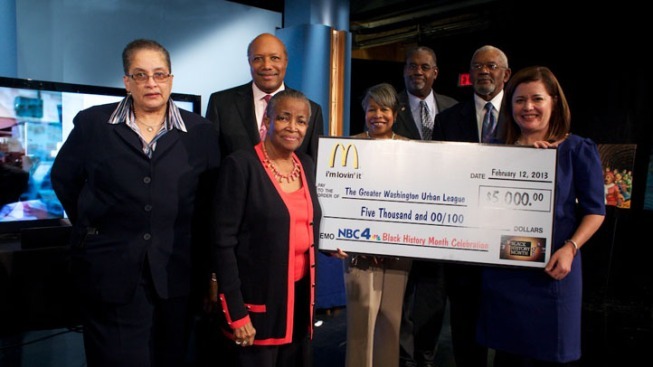 McDonald's partnered with NBC4 to present a $5,000 donation to the Greater Washington Urban League to help continue their positive efforts in the community. Maudine R. Cooper, president and CEO of the Urban League, accepted the check. During the reception, NBC4 and McDonald's presented plaques to several significant people including Hon. Lillian K. Beverly, president of the board of directors of the Prince George's African American Museum and Cultural Center; Marvin Dickerson, president of Leadership Montgomery and 91 year old Lloyd Clayton, president and founder of Health Pact, Inc. for ongoing contributions to community. Noted musician Aaron Myers and D.C. artist Jonathan Botts were also recognized. 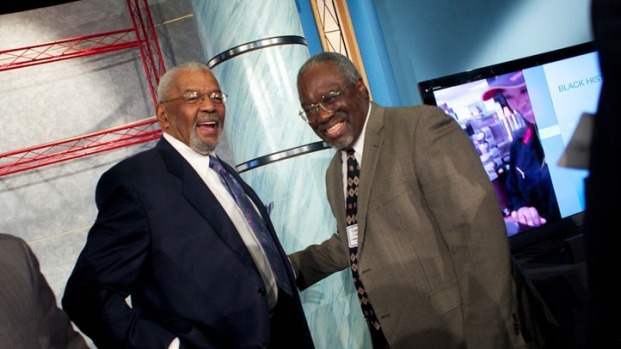 This month, NBC4 will be observing Black History Month on-air and on-line.